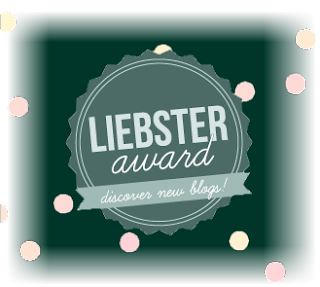 I've been nominated for another Liebster Award! It was so sweet of Abby & Nicole to nominate me. Abby blogs at Not So Simply, Abby and Nicole blogs over at The Sheas, so hop over and check them out. 1. I am 1 of 6 children. 2. I have 2 more birthdays left in my 20s and 1 of them is coming quickly. 3. I have 1 awesome husband and 2 awesome dogs. 4. I am the least germaphobic person you will ever meet. 6. I paint my nails about 3x a week. 7. I am a recovering Diet Coke addict. 8. I have a flair for the dramatic and that drives my husband crazy! 9. I love to watch reality TV. The trashier the better. 10. I like drinking out of straws. 11. I'm a total wine snob. 1. Where do you see yourself in 3 years? Still married, still lawyering, maybe with a kid? 2. What's your most embarrassing moment? I don' t think I can pick just one thing. I'm very clumsy and always running into things. I'm constantly covered in bruises. 4. Do you have any obsessions? I'm obsessed with champagne and cupcakes. 5. Favorite date night idea? Good food, good wine, good conversation. 6. If you won $1,000 and had to spend it in one day, how would you spend it? I'm assuming she meant $1,000,000 since $1,000 would be easy to spend. I would book fabulous vacations until I spent it all. Like on a private island with a private jet kind of vacations. 8. What is 1 thing that you love about your spouse? He lets most things roll of his shoulders in a way that I can't. 9. Favorite ice cream? Vanilla. Everything goes with vanilla. 10. What is your new year's resolution? To be happier and healthier. 11. What is your dream job? Trophy wife or lady who lunches. Either one, I'm not picky. 2. What is your favorite topic to blog about? 3. What magazines do you love to read? 4. How much TV do you watch a week? 5. What's your idea of a perfect Saturday? 6. Do you like dogs or cats better? 7. What's one modern convenience you couldn't live without? 8. Do you prefer getting a phone call or a text? 9. What is one modern convenience you wish didn't exist? I'm so jealous! Blogs all around me are getting this cool award! Sounds like the perfect party--Champaign and Cupkcakes....or blog title!! !